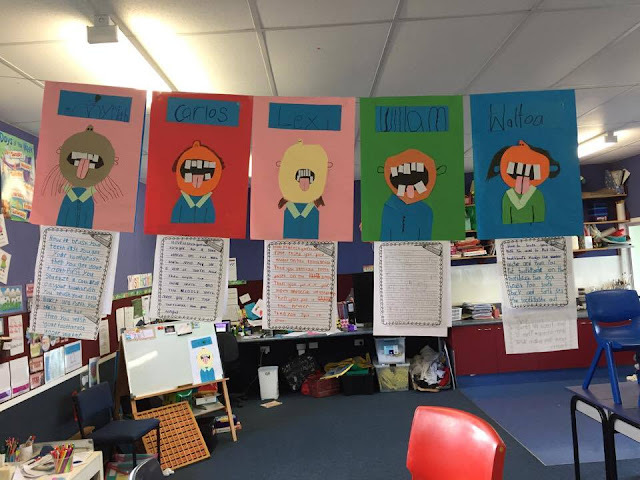 Over the past few weeks Room three has been working on writing for different purposes. 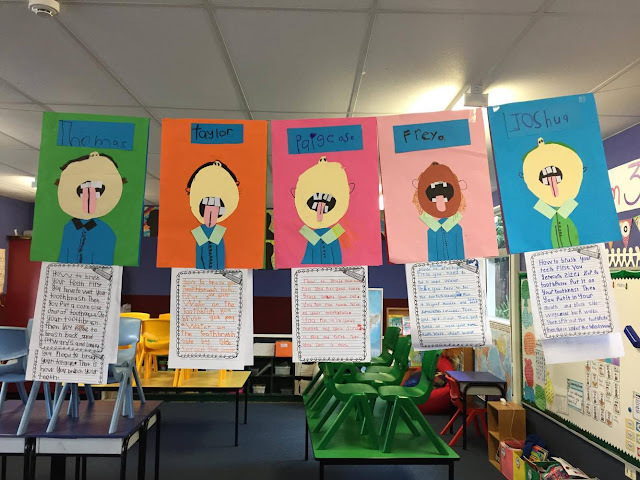 The children have created an EXPLANATION of how to brush their teeth after experiencing brushing their teeth in class. 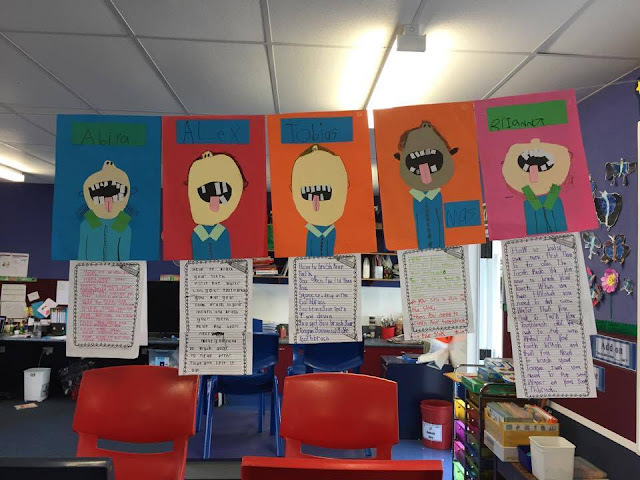 This different style of writing was a challenge for some children but after reading their published pieces of writing it is easy to see they have all raised up to the challenge. Their vibrant CLEAN TEETH artwork created from different shapes look awesome! 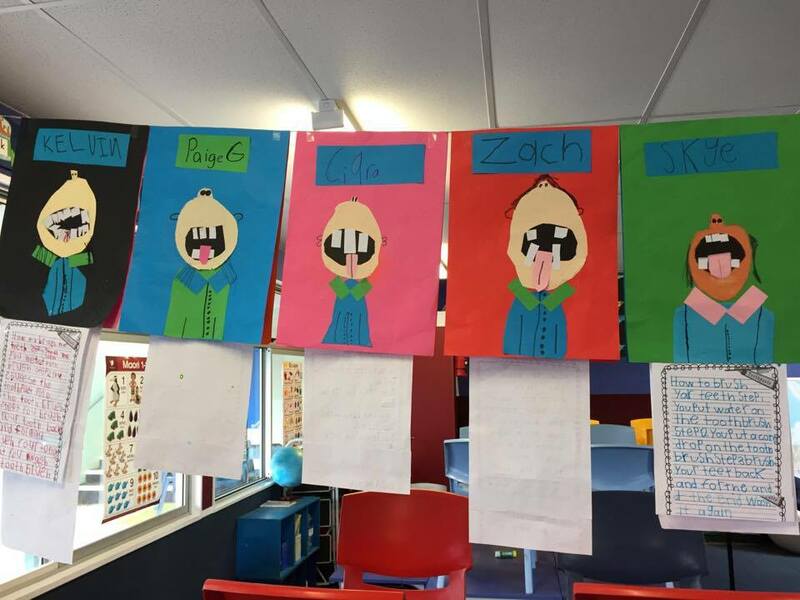 Excellent work Room 3!